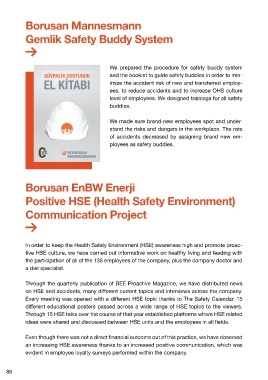 on HSE and accidents, many different current topics and interviews across the company. different educational posters passed across a wide range of HSE topics to the viewers. ideas were shared and discussed between HSE units and the employees in all fields. evident in employee loyalty surveys performed within the company.